California researchers engineered cells from mice and humans to fold, coil, and ripple, which could advance efforts to grow tissue and organs. S	S	cientists have replicated some of the processes that cause cells to fold, coil, and ripple as they become flesh. Publishing their findings recently in the journal Developmental Cell, researchers at University of California campuses in Berkeley and San Francisco said their discovery was a major leap in growing tissues and organs and developing new medical therapies in the future. The key to Gartner and his colleagues’ discovery were mesenchymal stem cells, which he said bind other cells to one another in the same way mortar holds together bricks. They studied the cells in mouse digestive tracts, observing how the cells pushed and pulled collagen — the most prevalent type of protein in the animals — into shapes that eventually would become villi, or small projections in the intestines that help absorb nutrients. 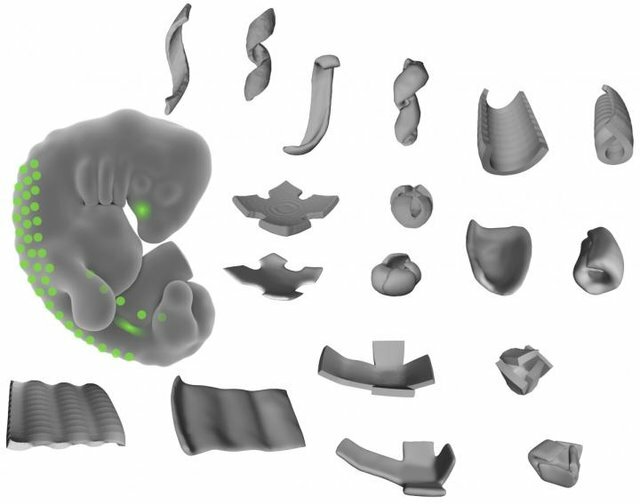 They also figured out how to predict the shapes that the cells would create based on their placement on the collagen and other factors, making fruit rollup-like wraps, tubes, and abstract designs like the Miura fold, a popular origami design. They also placed other cells, like endothelial cells from human umbilical veins, on the collagen and found that they would fold up, too, and in certain circumstances help construct new shapes. Lastly, they purposely introduced errors and challenges to prevent the mesenchymal cells from folding the collagen. But often the cells continued to fold, suggesting they were robust enough for further engineering in the future. Gartner envisioned someday stringing cells together to make organs and other tissues. Crafting new organs opens the door to transplants, personalized medicine, testing cures for diseases, and researching how and why tissues grow incorrectly. To achieve commensurate test tissues, current technology demands that researchers clone an organism, then harvest the clone’s organs — an ethically questionable approach. Three-dimensional printing can also produce versions of organs, but they usually can’t yet be called duplicates of their organically grown counterparts.